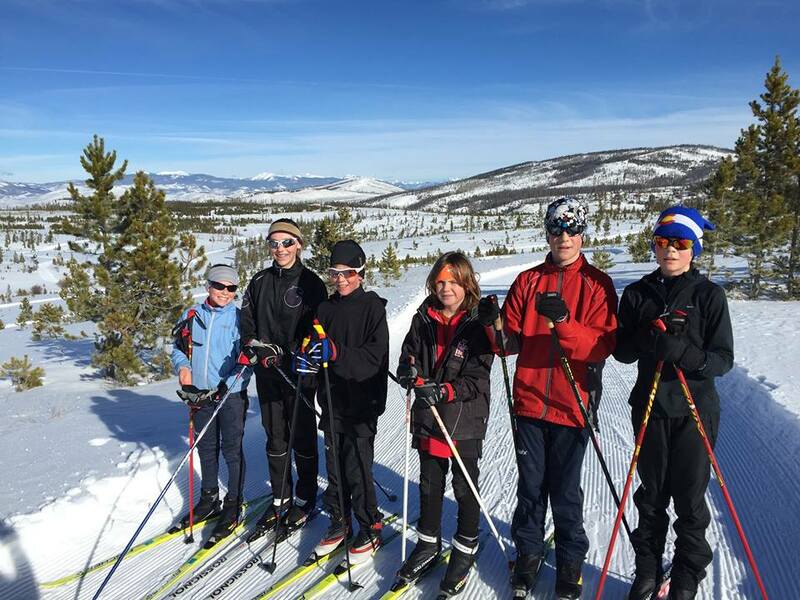 Previously known as the Winter Park Nordic Team, the DTJNT believes in growing the sport from the ground up by instilling a passion for the sport in our young skiers within a supportive and fun team environment. We work with skiers of all levels from beginners to advanced skiers. Our experienced coaches, with the assistance of parent volunteers, provide individualized instruction for growth and improvement. When: Saturday afternoons at 2:30pm. (Note: this is a recently updated start time. It was previously advertised as 3:00pm.) The first practice will be Saturday, December 17 and the last will be Saturday, March 18. As in previous years, we will take holiday weekends off, which will be December 26, January 16 for MLK Weekend and February 20 for Presidents’ Weekend. 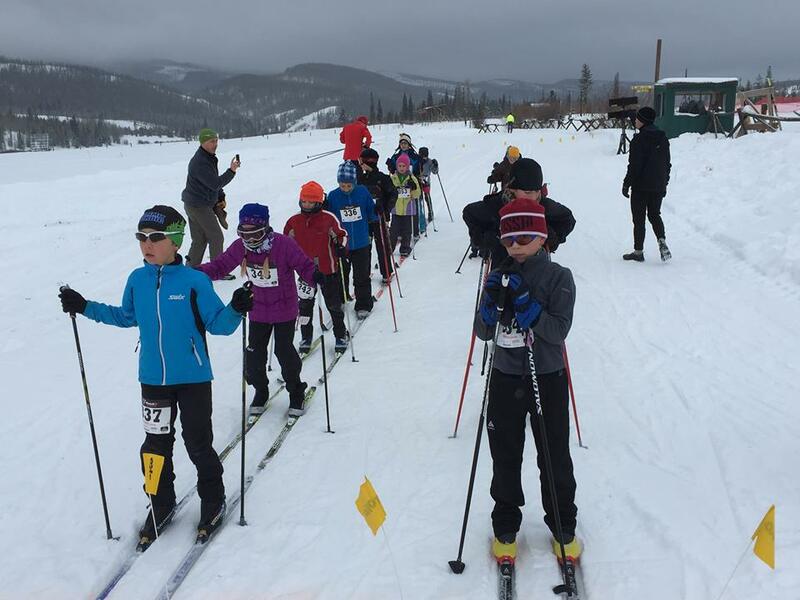 Fees: $150/child Our mission: The Devils Thumb Junior Nordic Team (DTJNT) is to provide athletes with a positive experience while cross country skiing. Cross country skiing is a lifelong sport, and we want to build the foundation for a lifetime of skiing well. We believe good technique is the foundation to enjoying cross country skiing. By using age-appropriate, research based instruction methods, we aim to teach your athlete how to be a technically proficient skier. This is the core of our program; teaching excellent technique while having fun on skis. While racing is an important part of cross country skiing, that is beyond our scope at DTJNT. While we encourage racing in athletes who are ready for it, our perspective is longer term, providing strong technical skills and instruction to our skiers when they are young and best able to learn so that they can race if they choose later on in their ski careers. Junior Race Programming Snow Mountain Ranch is continuing its junior development programming for athletes aged 12-19 this fall and winter! The purpose of this programming is to introduce the young athletes of the Grand Valley to the next level of competitive Nordic racing. Opportunities within the scopes of training, technique, and technical equipment management will be covered in this winter program. Athletes will be assessed for the levels that they are currently skiing at; develop goals and plans to fit a progression; and will develop skills throughout the season to meet those goals. Athletes and families that are interested in discovering the vision and next steps of US Nordic Racing are encouraged to attend an introductory meeting with more information and the option for in-person registration on Wednesday October 12th at 5:30 pm in the Snow Mountain Ranch Nordic Center. Projected training times will be Fridays at 9:30 am and Wednesdays at 5:00 pm. Membership at the YMCA is not required to participate in this program. The program fee for all athletes is $445.00 for the 2016-17 season. Athletes will be required to have both classic and freestyle equipment. All sessions unless announced will take place at Snow Mountain Ranch Nordic Center. JNQ Race/Coaching Support and CHSAA State Championships coaching available at an extra fee.